Also popularly known as Vasco, Vasco da Gama is located on the narrow western tip of the Marmagoa (also known as Mormugao) peninsula, overlooking the mouth of the Zuari River. It is 29-km southwest of Panjim (by road). Acquired by the Portuguese in 1543 for its strategic location, it was among the busiest ports on India's west coast. It remains a key shipping centre, but holds nothing of interest for visitors. However, it is important to come to Vasco, if one is to catch a bus to Dabolim airport. The primary town of Vasco is ordered in a straight line by parallel roads which are interconnected by lanes. The city of Vasco-da-Gama is fundamentally a shipping centre, and plays an integral role in the economy of Goa. The port of Mormugao - one of India's natural harbors - lies 4 kms from the middle of the city of Vasco. The Mormugao port conducts and operates container vessels and iron ore barges carrying ores and minerals to the countries Japan and Korea. The prime attraction of Vasco da Gama is the Bogmolo Beach. The sandy beach at the end of the cove would be even more picturesque were it not for the monstrous multi-storey buildings perched above it. The Naval Aviation Museum is another highlight of Vasco. The first of its kind in Asia was inaugurated at Dabolim, Vasco in 1998 and opened for public from the 19th October 1998. The museum showcases the history of Indian Naval Aviation, various aircrafts, weapons, sensors, safety equipment, rare photographs depicting Goa's liberation and artifacts. Baina, Hansa, Bogmalo and the exceptionally tasteless named Grandmother's Hole are for the most part well known beaches and see travellers rolling in from everywhere! We should clear the fog on Grandmother's Hole will we? In spite of nonstop ridiculing, Grandmother's Hole Beach gets its name from the way that visitors need to press through a small opening in the Fortaleza Santa Catarina Fort remnants to get to this beach. The beach is in reality quite little, however it's totally normal, not popularized by shacks and is one of the prettiest little parts of Goa and Vasco. Legend has it that Grandma used to hang tight in this opening for her children to return from their angling journeys, consequently, the name Grandmother's Hole Beach. The Naval Aviation Museum, near the Bogmalo Beach, makes for an astounding evening visit far from the warmth and beaches and offers keen showcases of Goa's maritime history appropriate from Portuguese occasions. It flawlessly features the advancement of Indian Naval air ships throughout the years. Near Varca Beach, the Mormugao Fort, worked in 1624, stands tall at the passage to the Margao Port. It's a verifiably essential place with some all-around safeguarded engravings and an evening voyage through the fortress is a much needed development from the sun and sand. Aides are promptly accessible to assume you around the position. A post devoted to the incomparable Maratha pioneer, Shivaji Fort, is another feature of Vasco and offers some incredible perspectives of the city. Near Grandmother's Hole Beach, one can benefit the ship office to Dona Paula Beach; and Dona Paula as a rule, is one of Goa's lively townships with heaps of shopping and different exercises. Dona Paula is exceptionally proximate to Panjim, truth be told, it's viewed as a suburb of Panjim. St. Andrew's Church The congregation of St. Andrew's is arranged at the plain passage of the Vasco city. At first developed in 1570 AD the congregation was wrecked by the troopers of Adil Shah in 1578AD. The congregation was recreated in 1594 AD. The congregation once had an excellent façade which was wrecked in 1950 AD, Due to which the congregation has a shortsighted outside yet the insides are brightening. Being one of the most established houses of worship of the city it is visited by individuals from all networks and is additionally a famous tourist destination in Goa. Maritime Aviation Museum Being one of the main two Naval Aviation Museums of the nation, this specific exhibition hall was worked in 1998. The exhibition hall shows the movement of the Indian Naval Air Arm throughout the years. The historical center is subdivided into two sections, one being the open air display and the other is the indoor show. The indoor display is a twofold storeyed exhibition and spotlights on the accounts and advancement of the Indian Air and Naval powers. It additionally shows some imperative vintage reports that are of prime significance and hold some profitable verifiable records. The open air show is more similar to a recreation center as opposed to an exhibition hall. Due to the antiques being enormous they are kept in the open air with the goal that guests can have a nearby look. The historical center is one of its sorts in the whole mainland. Japanese Garden The Japanese Garden remains on the site where once Fortaleza Santa Catarina stood and the destroyed dividers of the place still advance through the garden. 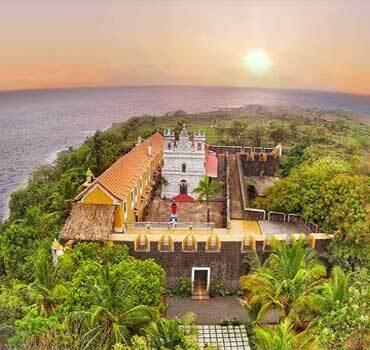 Being arranged on the edge of Mormugao Ridge, the greenhouses offer a stunning perspective of the Arabian Sea and the islands remaining in the midst of the ocean. A little beach is additionally arranged at strolling separation from the garden and gets its name from the Garden. The beach is typically unfilled and offers a delightful perspective of the slope also. The garden is all around kept up and individuals typically come here either for relaxed strolls or looking at the Arabian Sea beneath. Bogmalo Beach The perfect, unexplored and an isolated beach of Goa, Bogmalo Beach is without a doubt among the best beaches of Goa. 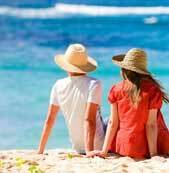 Despite the fact that the beach is marketed yet the commercialization hasn't incurred significant injury on the characteristic excellence of the region. The shining silver sands and the sun kissed waters will entrance you. With greater waves hitting the beach the place is additionally well known for jumping exercises. 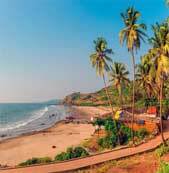 The beach is likewise notable for offering some lip smacking Goan delights. Issorcim Beach The beach is a calm and a littler beach when contrasted with alternate beaches of the state. In contrast to different beaches of Goa, Issorcim Beach has a level surface and is ideal for water exercises. 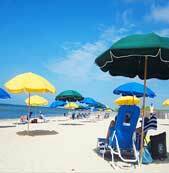 The commercialization of the beach hasn't occurred yet which makes it one of the cleanest beaches of the region. With the perfect waters and negligible group to impart the beach to, the place has a quality that conveys you closer to nature. How to reach Vasco da Gama by Air: The Dabolim Airport, Goa's solitary airport, is found 4 km southeast of Vasco-da-Gama. 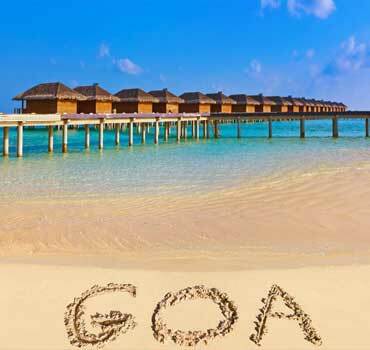 Various national and global flights take into account the perpetual stream of voyagers to Goa. There are prepaid taxi counters inside the airport and private cabs are likewise accessible. Nearby transports are likewise accessible from the crossing point quickly outside the airport to go to Vasco. How to reach Vasco da Gama by Train : The south-focal Vasco da Gama railway station is situated at the south end of Dr. Rajendra Prasad Avenue and is associated with many real goals of south and focal India. How to reach Vasco da Gama by Road : Vasco has great roadway connectivity to real urban areas of Goa. The Interstate Kadamba Bus Terminus, 3 km east of the town focus, lies on the National Highway 17A. Nearby minibuses convey travelers from the primary transport remain to the city zone. Searching for the climate, atmosphere conditions and estimate for Vasco-da-gama, India? View current (most recent) Vasco-da-gama climate conditions; see a 7 or 14-day precipitation conjecture, get nearby travel conditions and audit Vasco-da-gama, India satellite and radar maps, temperature and precipitation insights for Vasco-da-gama.